For more than 50 years Allan Taylor, born in Brighton in 1945, has been considered as the consummate performer, a writer of literary gracefulness whose troubadour chronicles encapsulate the realism of otherwise unsung heroes, otherwise uncharted lives. His songs are written from a lifetime of travelling; always the observer passing through, each song is a vignette of life, like a story told over a drink in a bar. Each has an integrity that tells you it comes from something real; characters come to life like people you know and places become as familiar as if you had been there. Looking back as well as forward, few people can convey with such eloquence their life experiences. 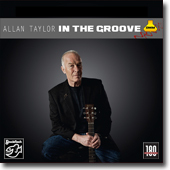 ALLAN TAYLOR - "In The Groove Vol.2"
Allan Taylor: "Over the last few years it has been gratifying to know that so many people are interested in our vinyl releases. Perhaps it’s not surprising, as the quality of the production is, as always, excellent, and a testament to the skill of our team. I have chosen these particular tracks mainly because I know that those of you who play the vinyl records usually play them on superb sound systems, and therefore appreciate the quality. How this sound is achieved I don’t know; I’m just the guy who writes the songs and performs them, but the Stockfisch team are the experts in recording. I’m grateful to the team for continuing to work to such high standards to make my music sound so good." "This song is metaphor for chance and adventure. Too many people live their lives with their head down – not looking up – so they never see the red balloon that is always there – but one has to search for it. And when you see the red balloon, take hold of the rope that hangs from and let it lift you off the ground and you’ll see the world." "50 Years On The Road"
The first concert/movie recording from the "Bürgersaal" Northeim - wall to wall next to the Stockfisch studio. On May 18, 2016, Allan Taylor performed in the "Bürgersaal" for the first time, the concert was quickly sold out and some of the guests were partly from far away - they came from Schleswig-Holstein, Berlin, Braunschweig, Frankfurt and even from Hungary and the Netherlands. A wonderful evening with the great songs of this artist, who has been traveling around the world for over half a century with his guitar, his stories and songs. The man, whose voice is so incomparably warm and deep, whose guitar playing is so puristic, yet so full and expressive, and whose wonderfully simple lyrics base always on deep thoughts and a touch of melancholy. 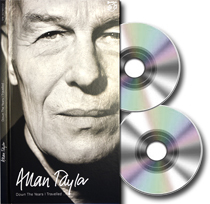 Allan Taylor writes: "This recording began as a bonus CD to accompany Colour to the Moon in the special box edition, released in the year 2000. Colour to the Moon has remained in production, but the bonus CD, Behind the Mix was discontinued when the box edition sold out. We have decided to re-release this 'Behind the Mix' CD because so many people have asked us to make it available again. When the idea was first suggested to me I listened to it for the first time in almost sixteen years (I never listen to my CDs once they are released) and I realised that it is special for many reasons, but mainly because of the friends I worked with on it. What you hear on this CD is three musicians, Chris Jones on guitar, Grischka Zepf on bass and me on guitar and vocals, just having a good time in the studio playing a few songs. Chris played on many of my recordings and we also played a few concerts together, including one special one at The Kennedy Centre in Washington, DC in 2003. Chris is no longer with us as he died in 2005. Grischka and I occasionally worked together on some recordings and then, along with Lutz Möller on piano, we made one tour of Germany in 2001. Then there are a few anecdotes of my time with Alex Campbell followed by recollections of the times I spent with Derroll Adams, another dear friend and a great inspiration. I made a few programmes for the BBC in UK with various singer-songwriters, one of whom was Derroll. He and I recorded some songs together for BBC Scotland in Glasgow, and you will hear some of these songs on this recording. Derroll died on 6th February 2000." Stockfisch Records again produced a special project including a symphony orchestra: We speak about the 2016 production with the grandseigneur of songwriting, Allan Taylor! The SACD will be titled: "There Was a Time". Here is the story behind: Allan had played on the FOLKEST festival every two or three years, usually on the stage in the Piazza Castello of Spilimbergo, a delightful small town near the North Italian city of Udine. The plan arose, that Valter Sivilotti, an Italian composer, arranger and conductor, would make arrangements of a selection of Allan's songs and conduct the orchestra for the concert. This concert took place in July, 2013. When Günter Pauler of Stockfisch Records heard the demo live-recordings he enthusiasticly suggested to produce a SACD: Allan together with a symphony orchestra! Pauler hired the "Göttinger Symphonie Orchester" with their agile conductor Christoph-Mathias Mueller; Valter Sivilotti and Allan Taylor joined the recordings in Göttingen, and a very successful session was performed. Available from May 2016 as Multichannel-SACD-Hybrid! Allan Taylor writes about this record: "What you hear on this SACD is the product of great technical and artistic expertise on the part of Stockfisch Records. I wrote some of these songs many years ago, but I hope you enjoy the experience of hearing them in an orchestral setting. Certainly, Valter Sivilotti’s empathy with my songs has created some wonderful settings, and it was a privilege to work with such a creative and empathetic musician." Someone who is approaching 70 and calls his album “All Is One” obviously has something to say. Just recently Allan Taylor faced one of life’s tests – a severe shoulder disfunction prevented him from playing guitar – not an easy situation for a musician. In the meantime that is thankfully all healed and forgotten. Not shying away from the strain and frustration involved, he worked his way back to his instrument, his fans and to the recording studio at Stockfisch Records. He could have presented this album as a big comeback, a resurrection, but that is simply not the style of this master of contemplative tones. Insiders will recognise a stringent continuation of his 2009 album “Leaving At Dawn”. Even then it was about leaving, about long journeys, the poetry of movement – subjects even more strongly represented on this album. Instead of driving on asphalt it’s about moving through time, and the title song is the best example. He wrote the first lines back in 2004, which kept flickering back to him and could finally now be completed. The lyrics tell of old guitars and of velvet gloves which close doors - but the song is a long way from drowning in sentimental resignation. Those who can read between the lines will discover a clever mixture of dance and march: “One final dance unites us all”. It is Allan Taylor’s very own rhythm, for he sees himself as part of the “Travelling Troubadours” tradition: dance, sing and travel onwards … with good news: a new tour starts, he is currently touring through Germany, Scotland and his English homeland. Also available as Vinyl-Edition incl. all 10 songs. Taylor plays his favourite Martin guitars with the same sensitivity for body, expression and autonomy which one finds in his vocal performance – always moving, and never merely vague. In the last song Allan Taylor summarizes: „I may not be the perfect man, I guess I’ll do the best I can“ – and ends the album with the bemused lightness of a simple D-major chord. Maybe a touch too modest for a master? New in 2012: A double CD album with a book-like appearance including about 60 pages with explanations, liner-notes, photos and lyrics. A collection of 20 songs from Allan’s recordings in the 80s and early 90s, plus the bonus song “Down the Years I Travelled” written especially for the project. These 20 songs from the time, when Allan Taylor not yet produced with Stockfisch Records, have been carefully remastered by Hans-Jörg Maucksch. And, look at the list of Allan´s fellow-musicians at that time: e.g. Rick Kemp (Steeleye Span), Maartin Allcock (Fairport Convention, Jethro Tull) or Mike Silver. Allan Taylor recorded the newly composed title song together with Lutz Möller playing the grand piano: "Down The Years I Travelled …"
Not many music labels are able to use their own cutting lathe for releasing their recordings on LP format. Whenever repertoire, dynamics, and sound have promise to be suitable for release on vinyl, we cut the masters on our NEUMANN VMS-82 Direct-Metal-Mastering cutting lathe. With Allan Taylor´s audiophile 180g-Vinyl-LP we started the new Stockfisch series IN THE GROOVE. On the occasion of one of Allan Taylor´s frequent visits to the Stockfisch studios in Northeim he suggested to release a Vinyl-LP with ten of his favourite songs. And he named the songs: among them beautiful pieces like "The Dove", "Chimes At Midnight", or "Colour To The Moon". Moreover he proposed to re-release the session "Save The Last Dance For Me" from the BEHIND THE MIX-project in the year 2000. "I thought the vinyl format was finished. However, since I have been recording with Stockfisch Records and working with Gunter Pauler I have become used to the supremely high criteria the work to, so when they asked me to choose a few songs of mine from our catalogue for a release on vinyl I thought it was a great idea." A 10 minutes extract from Stockfisch Blu-ray Disc/DVD-Video „The Endless Highway“ – a documentary film about Allan Taylor´s life as musician. This SACD-Maxi release emerged from a chain of events: During the HIGHEND exposition in Munich Allan Taylor happened to get to know Dieter Burmester, head of "Burmester Audiosystems". Dieter told him about the sound system that he had designed for the new Porsche Panamera. It was then that Allan told Dieter his story of why he had bought a Porsche and that he had written a song about the true story behind. For this reason Stockfisch Records produced and recorded together with Dieter Burmester and the international Porsche magazine, Christophorus, a five track MAXI containing also the song "A Promise and a Porsche". During the shooting for the biographical documentary film about Allan Taylor's life and work Stockfisch had filmed a complete solo concert in Hoeilaart, Belgium. Although they had planned only to use a few clips, they decided to release this concert in nearly full length because Allan's solo performance is really impressive. Therefore Stockfisch decided to release this concert in stunning HDV-quality and Stereo + 5.0-Sound. Allan Taylor about this film Live in Belgium: „It was Günter Pauler from Stockfisch-Records who suggested that, as the concert in Hoeilaart (near Brussels) was to be filmed, I should choose the songs that charted my career of a life on the road. This meant going back to some of the older songs I had not played for some time, but in the hour or so before the concert I found time to run through the texts, the melodies and the chords of these songs that illustrated my journey." "Normally when making a live CD or a film one records a few concerts and then edits together the best parts from them all. We only had one night so there was a lot of pressure to get it right, and I think we did." "The Endless Highway - A Documentary Film"
The first documentary film about a Stockfisch artist: Allan Taylor´s life as musician. Allan says: "What we aimed to do was to make a film about a travelling troubadour, how he gets his ideas for songs, how he writes songs, how he plays the concerts and how he travels from city to city - we wanted to show the lifestyle of a singer-songwriter. Having been on the road now for forty years I can´t imagine what else I could have done. Perhaps if I had been better at the business side of music I might have been rich and famous, but my problem was I would never compromise in life or music, and really, all I wanted to do was to write songs, play music and see the world... ". This film also delivers insight into the genesis of a song: idea, lyrics, composition, performance and recording in studio. So, you can gain an impression of recording sessions with Allan during his work on the Stockfisch projects „Old Friends - New Roads“ and "Leaving at Dawn". That man often looking so serious and stern from the cover of CD booklets has seen the world, has travelled around it and thoroughly enjoyed it. He has sung about it and in his songs has transformed it into his artistic home. Leaving at Dawn: He riseth early who will travel far – or who has enjoyed in secrecy without wanting to commit himself to stay. The twelve tracks on this album are a mature singer’s retrospectice covering moments, places and stories of biographical, personal and historical nature. A troubadour’s lovesongs, intimate memories of family life, echoes of sweet rebellion in the year of 68 – Taylor has thoroughly enjoyed the lightness of being while it was still not unbearable. Later he transcended those memories of New York and Amsterdam and Brighton Beach and through his art made them valid and lasting for ever. That young man once left his home in the footsteps of the beat poets – wanting to be a wandering minstrel. That he became this kind of artist is proof enough of Allan Taylor’s successfully doing what he once promised to his father. He has most certainly not become an „almost man“. In his existence as a man and as a poet he has grown into a mature personality taking his share from life courageously, generously passing on the gift. The 4th Stockfisch album of Allan Taylor is called Old Friends-New Roads" and it is a special CD release. Have a look on the list of instruments! Yes, it is a solo album, just Allan´s voice and his guitar (except three titles with piano accompagniment instead of guitar)..
"This CD is simply a collection of songs I occasionally return to, solely because they are a joy to sing play. I decided to record the whole CD with just voice and guitar or voice and piano (played by Lutz Möller), the idea being that it is in fact a short private concert for you. Günter Pauler and Hans-Jörg Maucksch have created such a natural sound on the CD it´s almost as if I´m there in front of the speakers. I could not believe the quality of sound." "Hotels & Dreamers" was voted by the jury of FOLKER! music magazine as the #1 CD on their list of best albums of the year 2004. "I’ve got a whole lot of dreams and I can dream for you"; hotels for the lost and the lonely and the night-time lovers of good times, singing and trading songs and guitar licks and fiddle tunes and stories of the road all played out in the Mission Hotel for the waitress who "dreams in the kitchen and stands real close to the door"; back to where it began at number 9 Rue Git-le-Coeur, Paris, home of the Beats who started me on this road." 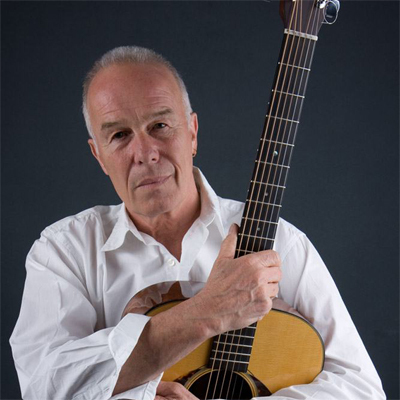 Allan Taylor’s critically acclaimed current album contains 12 new songs, some of them written during his Journey of Memories in Paris. Many people know Allan’s songs, some maybe without realizing it. Many artists have covered his songs, in diverse languages and musical styles – Nana Mouskouri, Hannes Wader, Fairport Convention or Frankie Miller, to name a few. However, Allan’s versions are still the most convincing – he sings about his own impressions and experiences as a "travelling observer" and it is his almost magical voice that charms the listener. Allan Taylor’s first album on the Stockfisch label - Looking For You - was recorded in 1996 and features (among others) Chris Jones and very special guests Andy Irvine and Eberhard Weber. These albums are partly released as CD-Audio. Our high-resolution recordings remain at that high level during all steps of audio processing - not before PreMastering the audio material is redithered carefully to the CD 16bit standard format. These products are available for you in our professional shopping-cart system. Payable with credit-cards or PayPal - of course via safe SSL connection. Normally orders will be dispatched the next working day.